We are proud of our collective professional strengths but also consider that it is the relationship between the staff and the patients that ensures we practise consistently good dentistry. This is where we would like to define ourselves. Ashley Dental takes the issue of continuing our education and professional development very seriously. We have a Practice Training Agreement and every single member of staff is regularly reviewed and agrees a personal development plan. 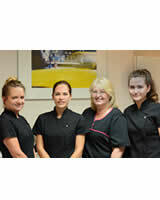 Most of us are local to the area and have been working at Ashley Dental for many years. The majority of our patients are familiar faces, many of whom we now count as friends, and this makes our team especially close-knit. I qualified in 1989 from Kings College Dental School in London. After working at Birmingham Dental Hospital and general practice in Central London I came to Walton-on-Thames where I have been since 1991. Dental techniques and equipment keep improving all the time but I believe in keeping my underlying philosophy the same. I believe professionalism can be blended with humour, compassion and patience to help my patients achieve healthy mouths and smiles. I enjoy meeting people of all ages and hope to always put them at ease. When not spending time with my family, I enjoy running, tennis and Chelsea Football Club. Qualified from Marseilles Dental Academy in 1990. She has worked in general practice both in France and the UK. She joined her brother, Chris, and the team at Ashley Dental in 1997. Karen’s patients enjoy her quiet, efficient style and find they can relax in her surgery. She is especially good at putting nervous patients at their ease with her caring manner and enjoys seeing children. She speaks fluent French and is an accomplished cook who loves to entertain friends and family. A bit of a film buff, she still finds time to read widely and attend various concerts in her spare time. After qualifying from King’s College London in 2010, Stephen worked as a Maxillofacial Senior House Officer in Basildon hospital where he gained additional surgical experience. 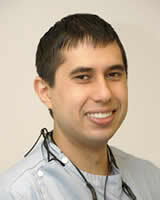 Stephen has since worked providing a wide range of dental treatments in general dental practice. Stephen continues to develop his post graduate skills and keeps his knowledge up to date. He has obtained a Diploma of Membership of the Joint Dental Faculties at the Royal College of Surgeons and is currently undertaking a Restorative Dentistry MSc at the renowned Eastman Dental Institute. He is also a qualified invisalign provider and can straighten teeth for both adults and teenagers. Stephen enjoys all aspects of dentistry but has a particular interest in aesthetic restorations and tooth straightening. He takes great pride in the quality of his work and takes time to make sure his patients feel at ease. Outside of dentistry, Stephen enjoys making model kits, theatre and walking his dog. I qualified as a dental Hygienist and Therapist in 2011, after studying at Kings College Dental Institute in London. I have gained experience working in private practice, general practice, an orthodontic practice and NHS Community Dental Services. I enjoy getting to know our patients, and working with them to improve and maintain their good oral health. I like the challenge of tailoring treatment to individual needs . When I am away from work I enjoy socialising with friends, spending time with my family and trips to the cinema. I qualified in Budapest (Hungary) from the Vincotte Academy in 2010. I have experience working in both private practice and general practice. I always enjoy meeting new people and getting to know my patients. I have a calm and gentle approach which puts even the most nervous patients at ease. As well as being an enthusiastic oral health promoter I also enjoy the challenges of treating patients with complex periodontal needs. I have travelled extensively, living and working in Hungary, Australia and now settled in the UK. In my free time I like gardening and swing dancing. With a commercial and government background in marketing, public relations and project management I joined the Ashley Dental team in late 2008. On a day to day basis, a busy practice with three dentists and two hygienists generates a considerable amount of administrative work. Taking the longer term view, marketing the business, advertising, co-ordinating staff training needs, keeping up-to-date with legislation changes, updating our website and co-ordinating all our communications fill in any gaps in my time! If you have any suggestions or comments on the practice, and your care within it, I would be delighted to see them. We need to know what is working for you and what could be improved upon. Married with two children I find my home life is just as busy but centred around the family. Many years in the tourism industry gave me an enviable chance to travel, which I still love when I get the chance. I also enjoy running, painting, chatting - and anything at all that involves our children! As a key part of the care team, Dental Nurses and Receptionists need to be professional and friendly. We work closely with the Dentists to ensure that our patients’ experience is a positive one. We always look forward to welcoming new patients. If there is anything we can do to help, please let us know. 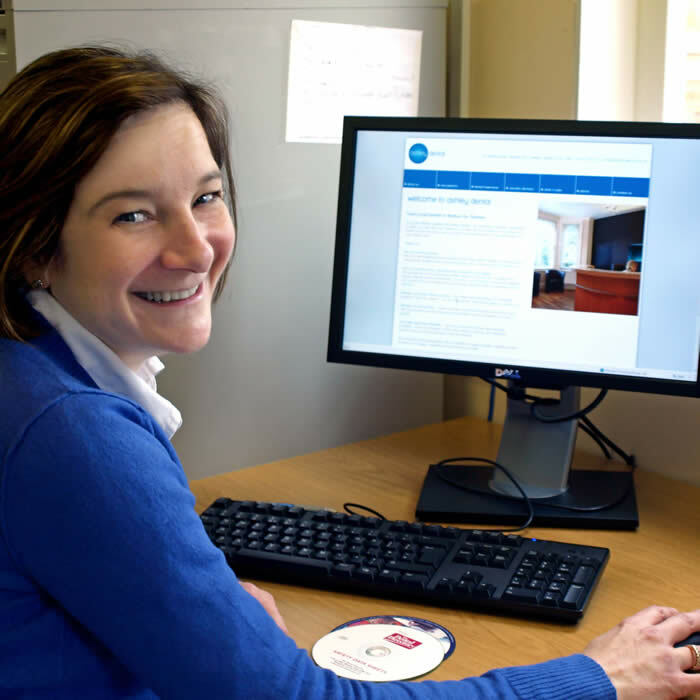 In Reception we work hard at greeting patients, answering the telephone, making appointments, handling queries and taking payments from patients – very often all at the same time! We are the “face of the place” to all our visitors. In addition to these very visible activities we are also an important part of the administration team, handling recall notices, filing patients records, following up dental laboratories, hospitals or other referrals, if necessary. We are all fully qualified and registered with the General Dental Council (GDC). Dentistry is constantly changing and so it is important that we are kept updated and trained in the latest procedures and thinking within the profession. We all participate in a formalised Continuing Professional Development (CPD) system – we complete a minimum of ten hours independently verified training and revision every year, on an ongoing basis. Captcha Please enter 87496 in below text box.